I came across this quote as I was sifting through the recent headlines about Lesotho on Google news. Lesotho still has so many challenges but it’s great when positive change in Africa is recognised – particularly in the international media. This is a theme that often comes up when I talk to people about Lesotho. While I am not quite as confident as Kristof that Lesotho’s garment industry will propel its economy forward (in fact there has been considerable coverage recently of the damages this industry is suffering due to the current global recession, not to mention that factory workers were on strike when I first arrived in August 2011 because factory wages do not meet the cost of living), there is also something about Lesotho you just can’t ignore. Amidst its isolation, lack of infrastructure, and chronic poverty, there is so much potential. 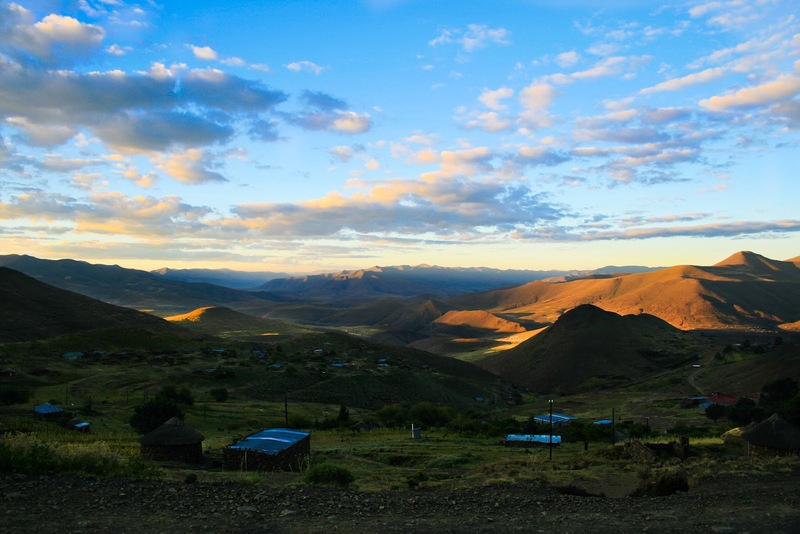 Lesotho is stunningly beautiful country, and has the advantage of being surrounded by South Africa – a place where international tourists flock to every year and where there is a burgeoning middle class and more and more tourist dollars to be spent. Mountain treks, stunning waterfalls, Africa’s only ski resort, a chance to experience ‘real rural Africa’. Plus it’s safe, people are friendly, and English is the second language. It’s possible to come up with at least a dozen reasons why there hasn’t been a tourist boom but you also can’t ignore all the reasons why there could be as well. Lesotho has natural resources. It’s where you can find some of the most expensive diamonds in the world and there is an abundance of water, something that will only become more valuable as the world continues to grow. Both these resources are located in the mountains of Lesotho, and yet the financial benefits don’t seem to trickle down to the local communities. Unlike so many African countries, Lesotho does not have a myriad of tropical diseases, contaminated water sources, or population overcrowding. But 1 in 4 adults are infected with HIV. Combined with increasing rates of TB, a lack of skilled health workers, and accessible health services, this has managed to cripple the country. Lesotho’s relatively democratic, conflict-free, and surrounded by a country that shares many of these features and is developing rapidly. If it could only get a harness on the devastation of HIV - something that science seems to be getting closer to every day and yet sadly there are not enough funds on the ground to implement these life-saving initiatives. If it could only get an economic boost – be it from tourism, natural resources, or trade- things could quickly begin to change. When I think about Lesotho the challenges are always there but so is everything it has to offer. Its potential for change is both motivating and frustrating but its definitely real and cannot be ignored.